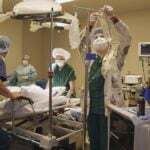 Selecting the best nursing school in Hawaii can be difficult. To make the process easier first look for a school that supports students towards licensure and beyond. A great way to measure this is through NCLEX-RN "pass rates." We have ranked the top 3 nursing schools in Hawaii by analyzing current and historical NCLEX-RN "pass rates", meaning the percentage of graduates who pass the exam, out of the 8 RN programs in the state. Programs reviewed include schools that offer an Associate in Nursing (ADN/ASN), BSN, or Direct-Entry MSN Degree. Hawaii strives to be committed to the future and growth of their nurses by being one of the highest compensating states. Salaries, opportunities and growth are just some of the many benefits to being a nurse in Hawaii that possess their Bachelor's of Science in Nursing (BSN). The estimated hourly income of a nurse, with BSN status, in Hawaii is on average $10.00 per hour more than that of the national rate. Hawaii is aspiring to reach an 80% average of their nurses possessing a BSN or greater degree by the year 2020. There are a number of pathways that can be taken to become a nurse. With shortages in qualified nurses due to changes in healthcare and mass retirement throughout the industry, many students find a 2-year nursing program the most efficient route to starting their career. 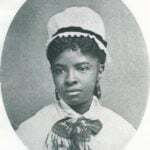 2-year programs are generally referred to as ADN or Associate's Degree in Nursing programs and are often offered through many technical colleges in the state. ADN programs are available in Hawaii! With a few programs at community colleges on the Big Island of Hawaii, the nursing profession is rising to meet the needs of the next generation. Choosing between ADN programs can be tough, but we're here to help! Take a look below at the some of the most important criteria for comparing each school. Hawaiian junior, technical, and private colleges are accredited by the Accrediting Commission for Community and Junior Colleges (ACCJC) of the Western Association of Schools and Colleges (WASC), which is an accrediting institution recognized by the U.S. Department of Education. 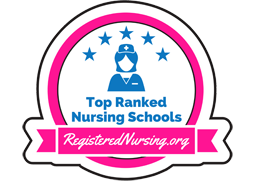 ADN programs are accredited by the Accreditation Commission for Education in Nursing (ACEN) or the American Association of Colleges of Nursing (CCNE). Students are encouraged to ensure that their college of choice meets these regulatory benchmarks. 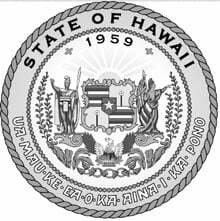 Hawaii is subject to the same licensure regulations as the mainland. In order to ensure that every school offers a program that produces graduates who are able to take the NCLEX-RN, Hawaii's schools are required to be licensed. Potential students are still encouraged however, to double check this information on college websites and that of the state's Board of Nursing, as licensure is a standard that must be maintained from year to year. Throughout the state, more than 70% of RN licensure candidates passed their exam on the first attempt! The Kapi‘olani Community College Nursing Department welcomes applicants who have aspirations of becoming a Hawaiian RN. For many, an ADN is the first step to a lifelong fulfilling career in patient care and management. Colleges across the nation work to make the costs of college programs and their associated expenses transparent to students and their families. While costs do vary between institutions, there are some similarities when it comes to housing, uniforms, nursing equipment and student fees. 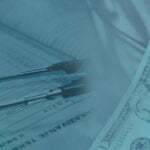 Read on for a good sample case of ADN program costs in the state. Located on the island of Maui, the University of Hawai‘i - Maui College charges about $3,000 for tuition and fees per year. Books are about $1,000. While no figure is given for nursing supplies and equipment, every effort has been made to source vendors who provide good value for dollars spent. The ADN has strong advantages for students. In addition to the fact that it is significantly cheaper than university, the college's accessibility to the surrounding communities often means that students who become nurses have no problem networking with local clinics and hospitals as their 'home territory'. Building strong professional relationships during school often pays off for the ADN graduate. 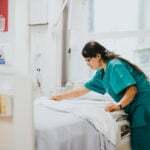 Undergraduate nursing programs at the university level (also called BSN or Bachelor of Science in Nursing programs) are generally twice as long as ADN programs, however, there are a number of reasons for this difference. Students who are unsure of what kind of nursing role they want to pursue find that the BSN prepares RNs for both bedside care and management roles within the hospital or clinic. Many jobs are structured to favor a candidate with more credentials so it can be worth your while! On the eight islands there are more than five BSN programs as the state strives to fill the gap in the patient care profession. With programs that range in length from an accelerated 2.5 years to 4 years, there are a number of options available to students on the islands. To find the university that is the best fit for your life and professional goals, we encourage students to look beyond the cost of a BSN program to evaluate factors like class sizing, clinical groupings, post-graduate employment rates and similar factors. University of Hawai‘i - Hilo offers a comprehensive BSN program that places dual emphasis on evidence-based interactions as well as fostering a caring environment. The undergrad experience fosters mentorship and experiential leadership opportunities. BSN programs have a standard length and pace which is 8 semesters long. However, those nurses who already have their license may be eligible to enter the accelerated RN-to-BSN program as offered through many of Hawaii's universities. Students are encouraged to consult with their school's admissions team in order to outline the appropriate path to a BSN. With a median wage of about $65,000 according to the BLS, it's a good idea to pursue a university education, but how do you figure out which school has the best value for their tuition? Best practice is to look at all the costs and school outcomes to see what seems to make the most sense for your life. One example is the Chaminade University of Honolulu, which advertises tuition at about $20,000 per year, on-campus housing and meal plan for about $12,000, and books, supplies and additional fees for about $2000. Did you know that the amount of education that a nurse receives can impact their patient care statistics? Higher nursing education can make a noticeable difference in patient outcomes according to the AACN. Some data suggest that holding a BSN lowers patient mortality while under care, and also, that BSN degree holders are more accurate at patient diagnostics as well. One career acceleration tool available to BSN degree holders is the option of continuing to graduate work and receiving their MSN or Master of Science in Nursing. Specialized roles such as Clinical Nurse Specialist, Nurse Midwife, and Nurse Practitioner are only achievable by those who hold graduate-level credentials. Throughout the Aloha State, there are currently two universities that offer the MSN program, but they cover a lot of specialized and highly technical branches between them. Hawaiian citizens also have the option of pursuing an MSN degree from the mainland that is offered fully online. Due the intense level of instruction in each nursing graduate program, tuition fees and associated costs of attendance are somewhat higher. To provide an example, the Hawaii Pacific University, a private university located in Honolulu is approximately $1,100 per credit hour and students are expected to accrue 50 credit hours toward their degree. Additional costs are not included in tuition estimates. At this time there are no known schools within the state of Hawaii that offer accelerated nursing programs. This means that candidates who want to earn their degree must look into online options, which can offer flexibility in course start dates, sequence of courses taken, and the ability to work around personal and professional obligations. Requirements for entry into these programs can vary from one program to another, so one should research the program of interest. Tuition for these programs will be dependent upon any courses you may have to take before entrance, as well as the program tuition. Located on Oahu, Kapiolani Community College is affiliated with the University of Hawaii; the college's nursing program is accredited by the Accreditation Commission for Education in Nursing. First and second year students receive ample clinical and classroom hours to work in a variety of healthcare settings once graduated and licensed. Follow the link to learn more about the Kapi‘olani Community College nursing program. For more than seven decades, the School of Nursing and Dental Hygiene has been the foremost research institution on the islands. Caring, renowned faculty mentor nursing students in health care theory and practice designed to enhance patient outcomes and community health throughout the islands. Follow the link to learn more about the University of Hawai‘i at Mānoa nursing program. Hawaii Community College is an integral part of the community of Hilo. With a mandate that nursing is a vocation and not simply a job, HCC's nursing faculty mentor students and foster respect for diversity and evidence-based learning, both in theory and in clinical rotation. Follow the link to learn more about the Hawai‘i Community College nursing program.